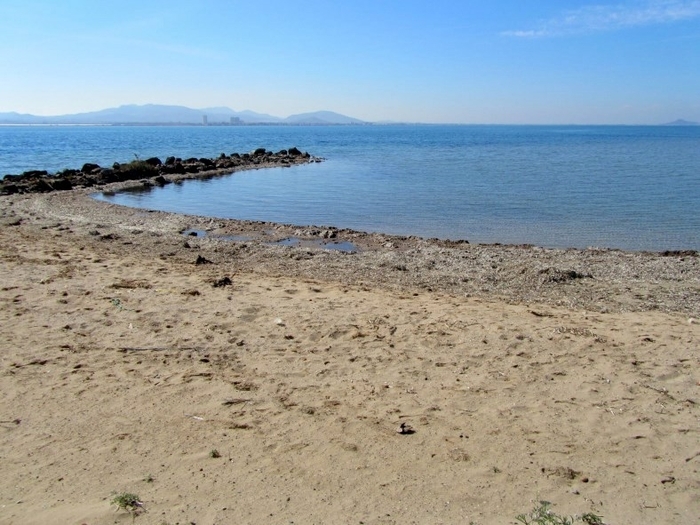 The Playa Puerto Bello offers 500 metres of sandy beach on the external area of the Puerto Bello marina at kilometre 1.5 of La Manga del Mar Menor. The southern end of the harbour is one of the few remaining undeveloped areas of this part of La Manga, and cars can be parked on the dunes, but at the northern end, where the port facilities are located, development is spectacular. 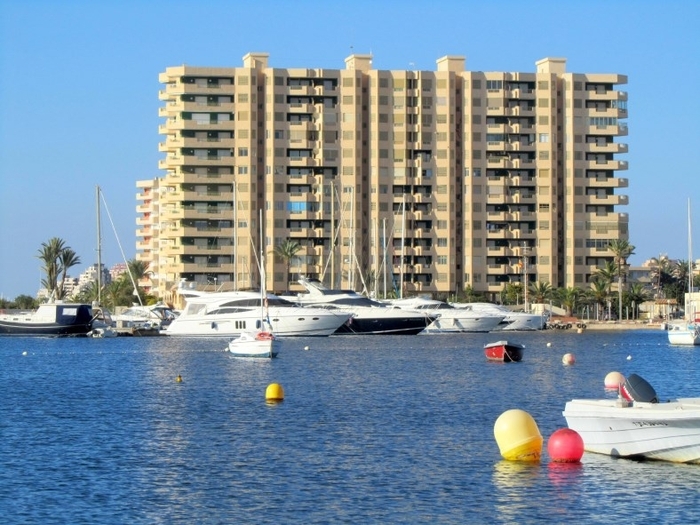 The view across the harbour is almost the archetypal one of La Manga: sailing boats and other leisure craft on the calm blue water of the Mar Menor, with high-rise apartments as a backdrop. Occupation during the summer months is high as a result of this. There is often confusion when talking about beaches on La Manga del Mar Menor, as there are both Mar Menor beaches and Mediterranean coastal beaches on this thin strip of land, one type of beach along each side, and to make matters worse, these are divided between two different local councils, those of San Javier and Cartagena. The divide between the two is brutal; straight across the middle of "the strip" as it is often called by foreign holidaymakers, the top part belonging to San Javier and the bottom part to Cartagena. 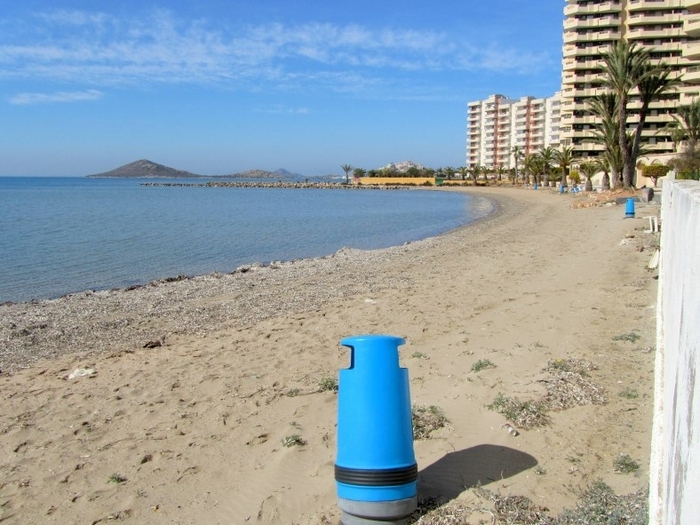 This beach is within the Cartagena municipality and is on the Mar Menor side of "the strip". The beach itself offers limited services, although restaurants and shops are close at hand and plentiful, particularly at the northern end. Sun loungers and parasols are available for hire during the summer, and children’s play facilities are also installed. Drinking water, bins, toilets and wooden walkways on the beach are also provided.